I just recently got an above ground pool and my neighbor cut the wall near the bottom. It's a metal frame pool and the cut is from one pole to the other. How can I fix that? He also cut the cord to my pump. Can the cord be fixed without having to replace the entire thing? Hi Brandi. Not a very nice neighbor, I hope this kind of stuff does not happen all the time. Have you checked into whether or not either your, or their, insurance will cover the damage. I don't think the pool can be repaired, at least I have never heard of it being done. I'm pretty sure it needs to be replaced. 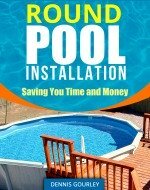 The cord can be spliced but if you get a new pool it will come with a new pump. If anyone out there has had experience with major repairs on soft sided pools maybe they will offer more advice. The water starting gushing out (of the pool and my son's eyes). Is there anyway to repair this damage? 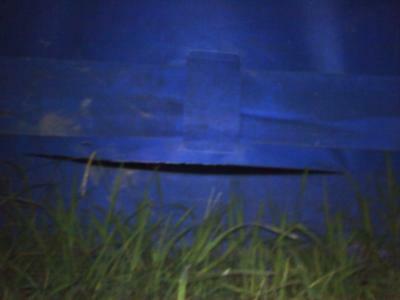 We are making my son pay for the damage and are trying to figure out what to do. Ahh, the joys of parenting!! Hi Kim Yes, the joys of parenting. None of my kids did any of the stupid things I did when I was a kid, at least not that I know of, so in that regard I have been blessed. I was in my backyard once with my BB gun and got bored with shooting at my target. I decided to send a few into the air. We later got the bill for my neighbors glass sliding door. The neighbors pool will need a new liner. Replacement linings for frame pools are available but probably not much less expensive than a whole new pool. At least that is what I have been told. Do some research and find the best price. Hopefully you can all get together and share the labor of replacing it. If not, then there will be a labor charge involved also.